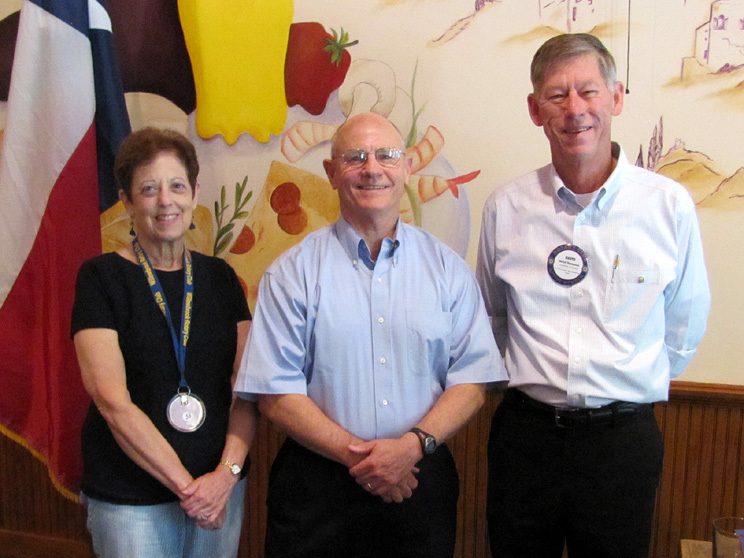 We welcomed two new Rotarians to our club in August. New member Norman Stephens is pictured above left with Sponsor John Mitchell during his induction by District Governor Lisa Faith Massey. 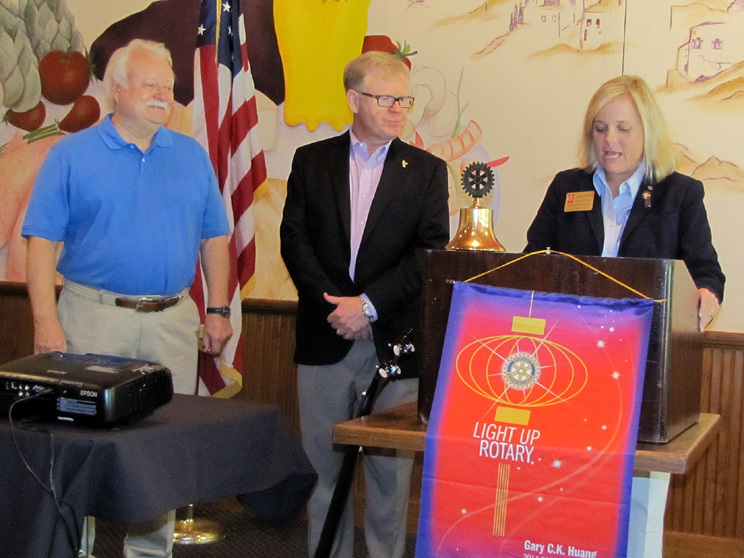 And on the right, new Rotarian Chip Webb is inducted by President David Thompson with Anais Watsky who is sitting in for Chip's sponsor Tom Jackson.